Our many years of snow removal experience through some of the worst winters ever in the Boston area have given us the on-the-job training skill set and real practical working experience to know well in advance just what we have to do before the winter ever starts. Our large network of vendors and suppliers ensures complete contract performance for your commercial snow removal needs. 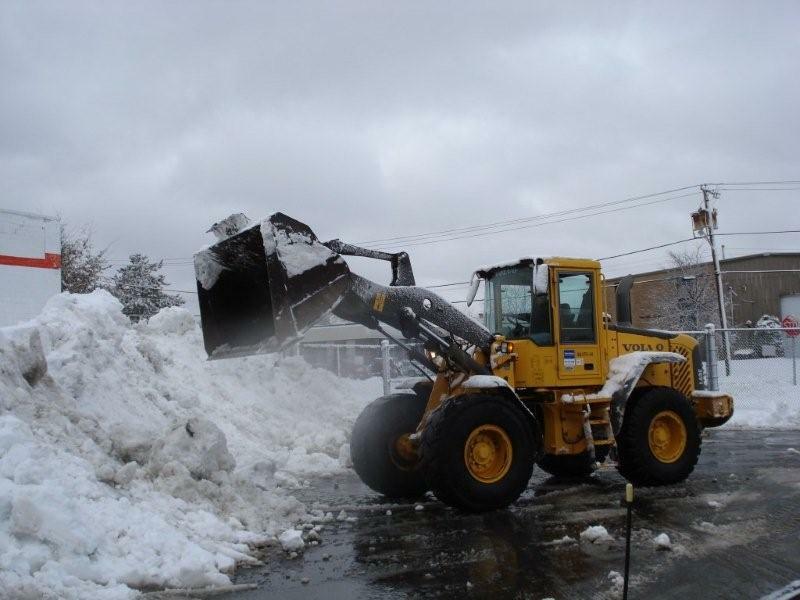 Our Boston commercial snow removal employees and contractors are the backbone of this company. Many of them have been with the company well over 15 years; some even well over 20 years! Our skilled and trained commercial snow removal workers will give you a first rate response to your Boston commercial snow removal needs. We have well over 100 employees and independent service providers covering the New England area. the largest 6 yard bucket loaders. We also have access to a multitude of dump trucks for hauling snow from your property. We have our own properties to legally dispose of excess snow from your property. This ensures that we are properly organized and forewarned of any pending snow storms or ice events during the winter season. We pre-position bulk ice melt supplies and large volume snow removal equipment throughout the Boston region to ensure timely response during the worst of weather or during the worst traffic times. 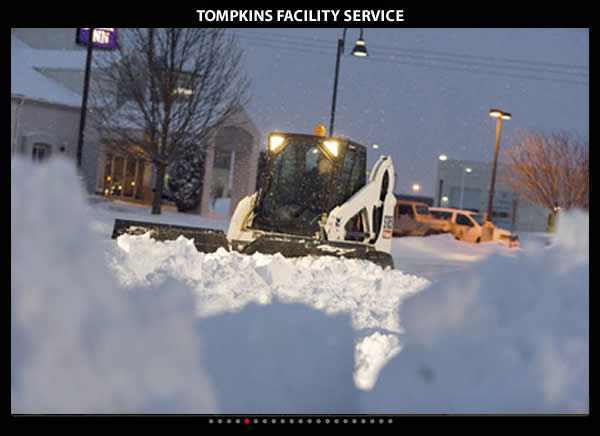 Our real world experience in snow removal emergency situations these past years has given us a wealth of experience and knowledge not matched by many other companies throughout the entire New England region. 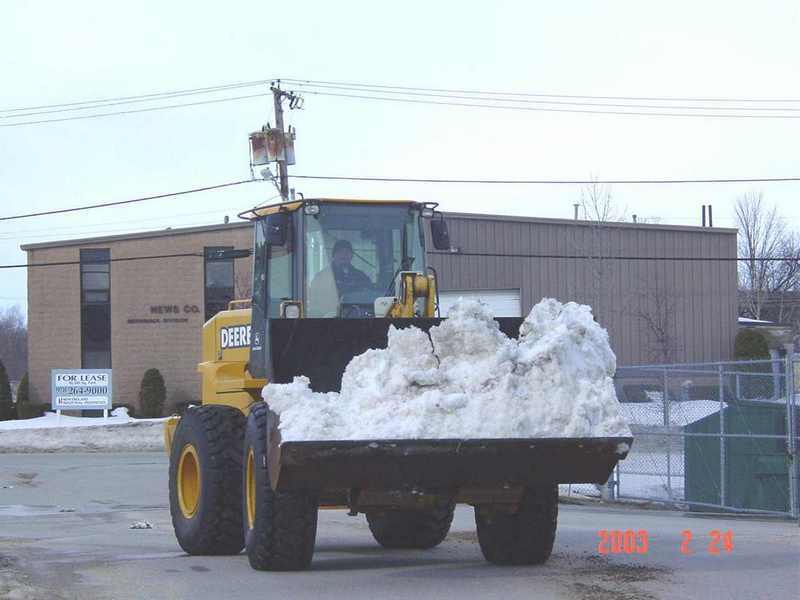 Our commercial snow removal division in the Boston area already handles some of the largest parking lot and walkway areas for variety of state and federal government agencies and clients.